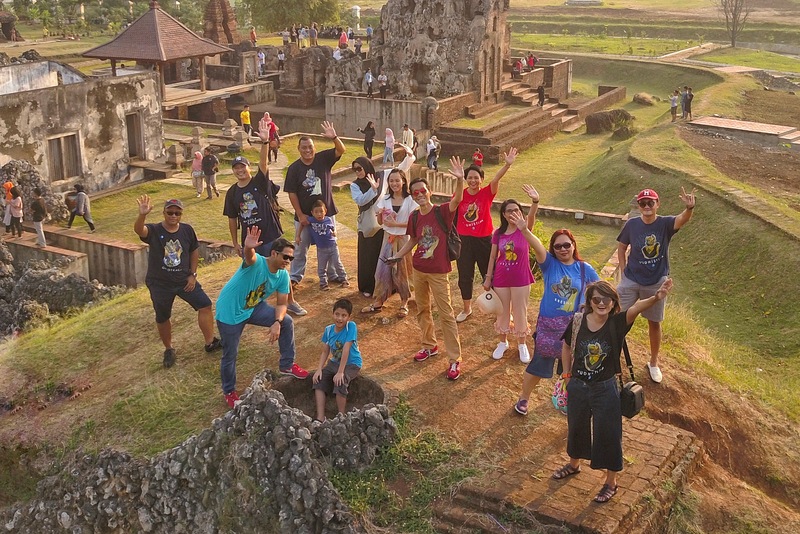 The whole Sparingga family who joined this Roti Abon trip took pictures from the hill, with background of Sunyaragi cave, one of tourist destination in Cirebon. We didn’t spend much time here. 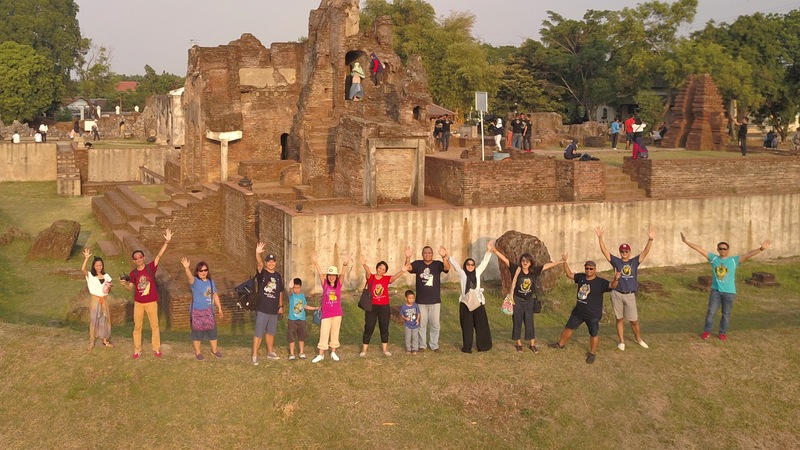 But we managed to fly Pelican around the complex and took the customary “Dewa” photo shoot. Stay tuned for the release! Next Post Thank You Cirebon! Thank You Friends!